Pope Francis wants climate action. What's the cost? 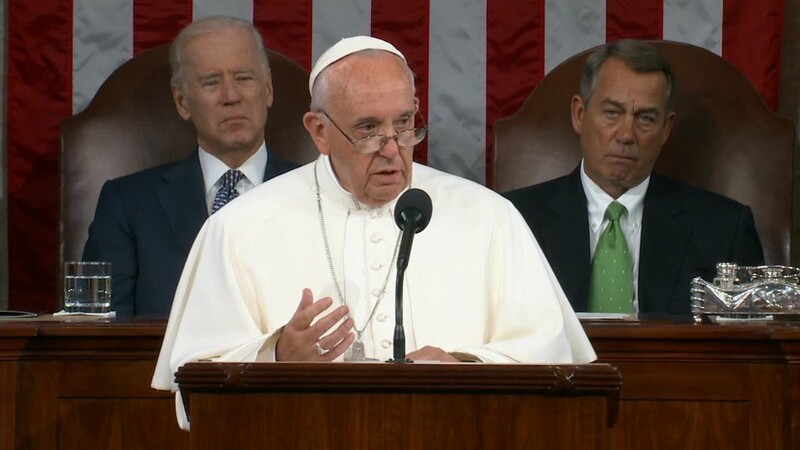 Pope Francis wasted no time calling on the United States to address climate change. "Climate change is a problem that can no longer be left to a future generation," he said in front of the White House. When he spoke to Congress, he again urged America to use its great innovation and leadership to "avert the most serious effects of the environmental deterioration caused by human activity." Francis wants action. But what would it cost? The typical American family would end up spending $700 to $1,100 more a year. Estimates vary widely, but the non-partisan CBO report is seen as a pretty fair projection. It's possible those costs could end up being a lot less if the government gave families subsidies to help alleviate the hit. But the bottom line is it will cost people and businesses a lot. That's the number one reason why the issue has become a "non-starter" in Congress now. One Republican told CNNMoney it's "politically toxic." "I understand the power of papal intervention, but this would require the power of divine intervention," says economist Doug Holtz-Eakin, who advised John McCain in his 2008 presidential bid. McCain had been one of the leading Republicans advocating for action. In the CNN Republican debate earlier this month, Senator Marco Rubio came out strongly against any sort of carbon tax or additional regulation. "What [these policies] will do is they will make America a more expensive place to create jobs," he said. Public opinion is interesting. Many Americans agree with the pope. That is, until you start talking about how much it would impact their family budget. According to Pew Research polling, 71% of Americans agree that the country should "do whatever it takes to protect the environment." But when people are asked if environmental laws are worth the cost, support drops to 56%. Families and companies that use more energy -- like running the AC a lot in summer or travel over long distances -- will see their pocketbooks hurt more. After all, the point of any action is to try to get people to change their behavior to become less reliant on fossil fuels. Another way to look at the costs is to talk about the overall hit to America's economy. The CBO estimates that it could shave off less than 0.1% from U.S. economic growth. So instead of growing at 2.4% a year, it would be about 2.3%. A lot will depend on how quickly the U.S. can innovate. If America can figure out how to better conserve resources and make alternative energy cheaper, then the economic costs will be even less than these projections. But it could easily take longer than we think. There will be job losses, although estimates are hard to come by. The general consensus is there will be winners and losers. Winners: Wind, solar and hydro energy. Losers: Coal mining, oil and gas extraction, chemical plants, metals, transportation and airlines. Industries like construction could go either way, depending upon how much retrofitting needs to be done. The U.S. economy has proven resilient before to big shifts. Manufacturing jobs peaked in 1979 at 20 million. By 2007, there were only 14 million manufacturing employees. Huge growth in other areas, namely technology and health care, more than made up for the manufacturing losses. The hope is that dynamic would play out again. Supporters of taking action point out that not addressing climate change will have a very negative impact on the economy, especially if sea levels rise and severe weather events increase. The CBO analysis was done in 2009 when there were active bills in Congress to do some sort of carbon tax or cap-and-trade plan. Economists see those approaches as the least harmful because they give businesses the greatest latitude to innovate. But the bills died in the Senate. President Obama has attempted to take some action by proposing limits on power plants emissions. 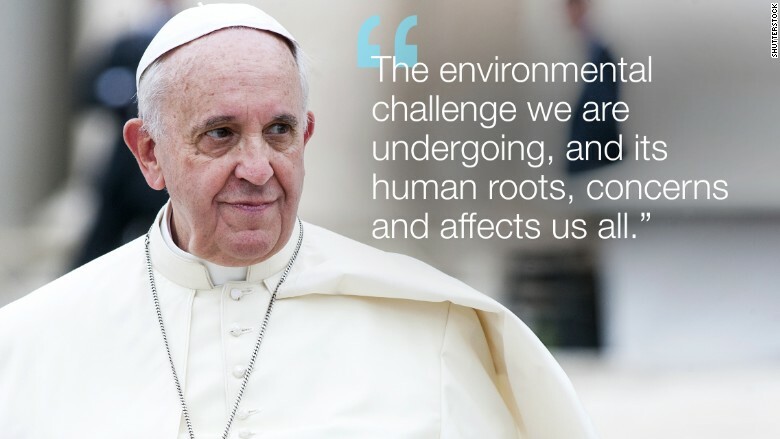 The pope says there is a moral case for addressing climate change. But that will collide with economic and political reality. The U.S. is also hesitant to act without other nations around the world doing the same. Few politicians wants to raise taxes on the middle class or harm an economy that is still seen as good, but not great.